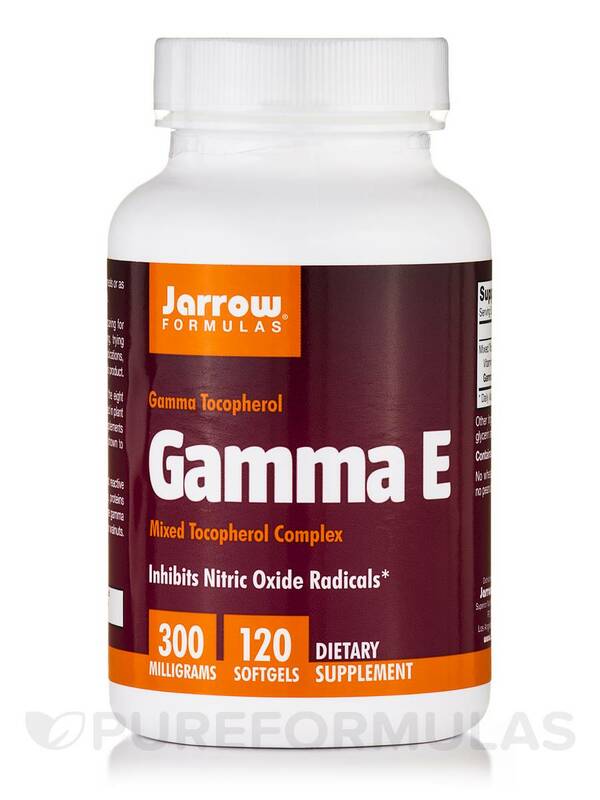 Gamma-E 300 120 Softgels from Jarrow Formulas® may inhibit nitric oxide radicals. 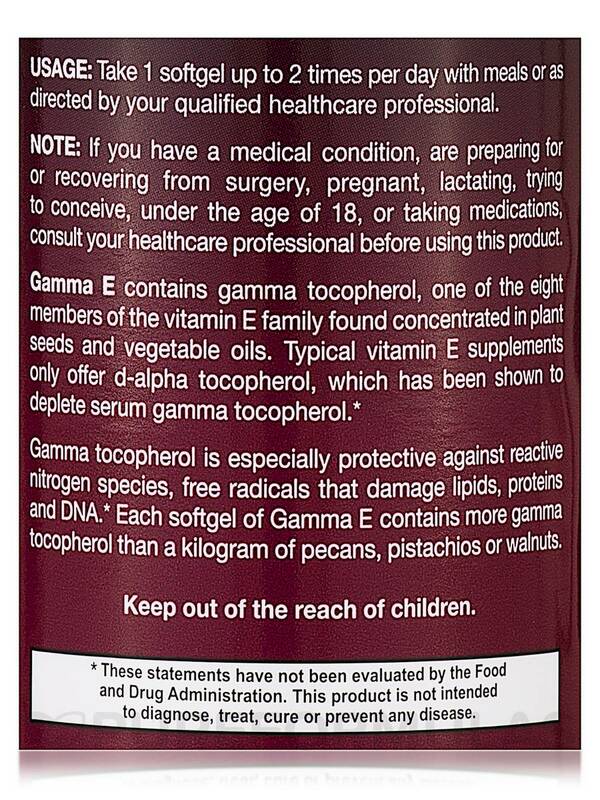 Gamma Tocopherol belongs to the vitamin E family and is found in plant seeds and vegetable oils. 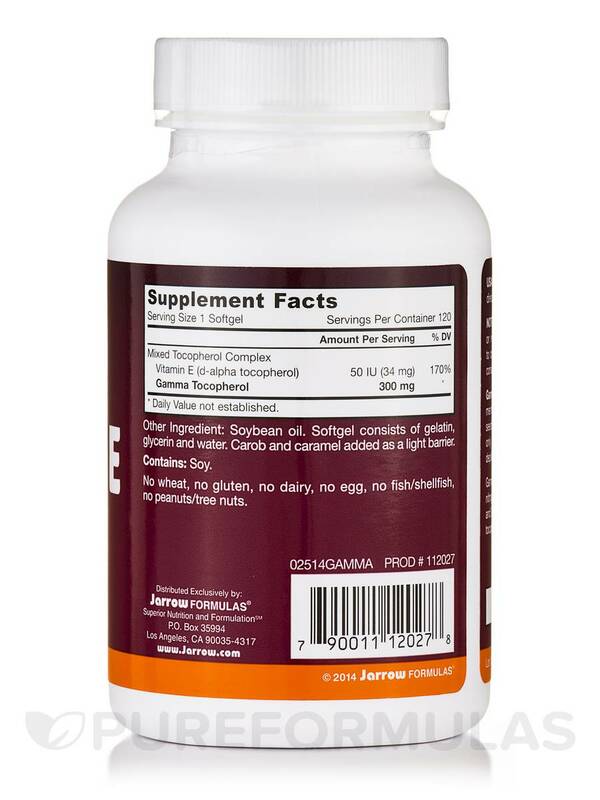 Studies have shown that gamma tocopherol‚ as present in this supplement from Jarrow Formulas®‚ may protect against free radicals that damage lipids‚ proteins‚ and DNA. The oxidation process in the cells leaves behind unstable molecules called free radicals. These molecules tend to attach themselves to healthy cells and can potentially lead to various diseases. Antioxidants are known for their ability to curb the activity of these free radicals‚ hence protecting the cells from damage. 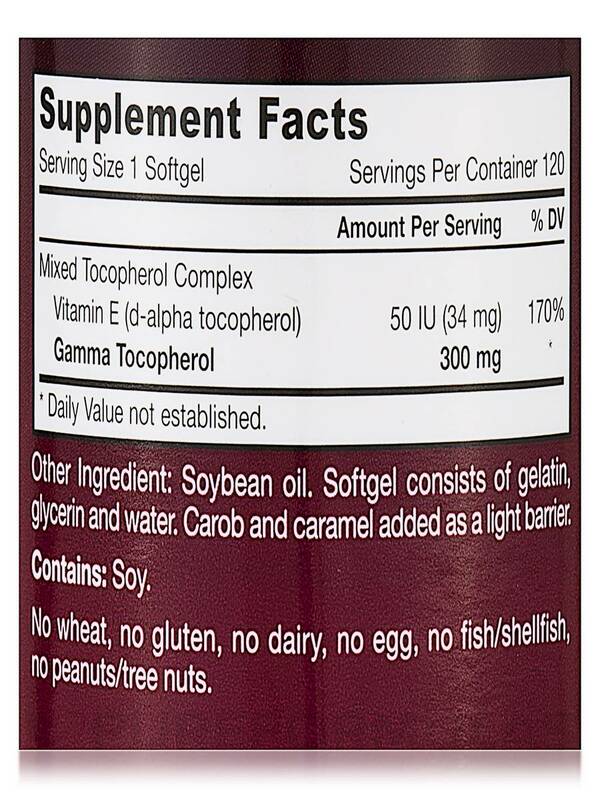 Found in nuts‚ seeds‚ and oils‚ gamma tocopherol makes up about 70% of the vitamin E in a normal American diet. Apart from being an antioxidant‚ this component may also reduce inflammation. The supplement from Jarrow Formulas® may be able to trap reactive nitrogen oxides that need to be removed from the body. Gamma tocopherol works to reduce inflammation by inhibiting the activity of the cyclooxygenase-2 enzyme. 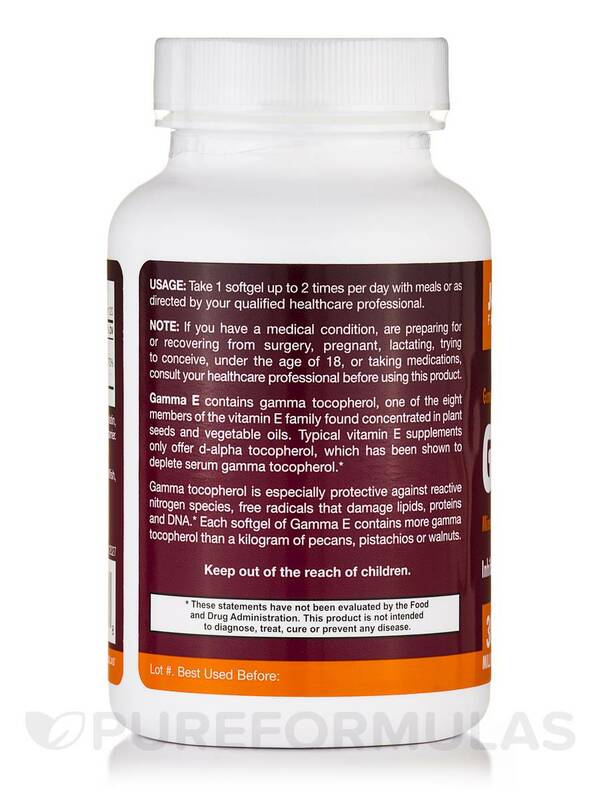 Gamma-E 300 120 Softgels from Jarrow Formulas® contains soy and is free of wheat‚ gluten‚ dairy‚ eggs‚ fish/shellfish‚ and peanuts/tree nuts. Other Ingredient: Soybean oil. Softgel consists of gelatin‚ glycerin‚ water and carob (as a light barrier). Take 1 to 2 softgels per day with meals‚ or as directed by your qualified health care consultant. If you have a medical condition‚ are preparing for or recovering from surgery‚ are pregnant‚ lactating‚ or trying to conceive‚ are under the age of 18‚ or are taking medications‚ consult your health care practitioner before using this product.